Chun-fang Yu was born in China and educated in Taiwan, coming to the States for graduate study. Before coming to Columbia, she taught at Rutgers, the State University of New Jersey, from 1972 until 2004, serving as the chair of the Religion Department from 2000. Her primary field of specialization is Chinese Buddhism and Chinese religions. She is interested in the impact of Buddhist thought and practice on Chinese society as well as the impact of Chinese religious traditions on the domestication of Buddhism in China. 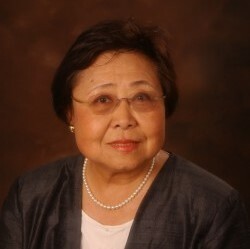 She is the author of The Renewal of Buddhism in China: Chu-hung and the Late Ming Synthesis, Kuan-yin, the Chinese Transformation of Avalokitesvara, and the co-editor of Pilgrims and Sacred Sites in China (Univ of California Press, 1992). In 2013, she completed a study of Buddhist nuns in contemporary Taiwan, focusing on the roles they have played in the revival of Buddhism in Taiwan during the last three decades. Her current research interests reflect her continuing fascination with the transformation of Buddhism in China. She has begun a new project which is tentatively entitled “The Creation of a Buddhist Pantheon”; it studies the pairing of two bodhisattvas: Guanyin and Dizang, in iconography and temple architecture from the tenth century to the present.